Want to be a part of the team and help make A3C happen? Awesome! We're always looking for talented and passionate people to join the A3C team. A3C is ONLY possible because of the hard work of countless individuals that dedicate time, resources and energy to make A3C a unique and special experience for all. We are looking for professional people with some event management experience to volunteer before and during A3C Festival & Conference. You will be required to undergo at least one day of training in September. Team members will be required to work a minimum number of shifts. In exchange, they'll receive a pass, t-shirt... and be a fundamental part of the largest hip-hop festival & conference in the world. 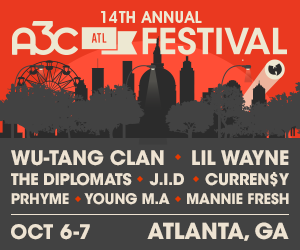 A3C volunteers will collaborate and assist in all areas of the A3C Festival & Conference. We are looking for enthusiastic and hardworking volunteers to work alongside us to help make this year’s event bigger and better than the last. Stage Managers work directly with the A3C venues to ensure our nightly shows & events run smoothly. Stage Manager’s role is to ensure the timeliness of each set, maintain communication, and communicate any issue to the A3C team. Work with venue & production staff to maintain schedules. Know who to call or ask when more complex questions arise. On-Site Coordinators work directly with the A3C Festival & Conference staff to ensure our panels, shows & events run smoothly. Your role will be to ensure the timeliness of each event, maintain communication, and communicate any issue to the A3C team. A3C Production Assistants work directly with the A3C Festival & Conference team to produce everything that is A3C. We hope that everyone involved has a good time, works hard and gains valuable life experience and connections.